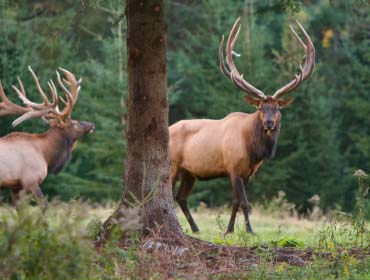 is home to the most prestigious Trophy Elk and Red Stag hunting in North America. 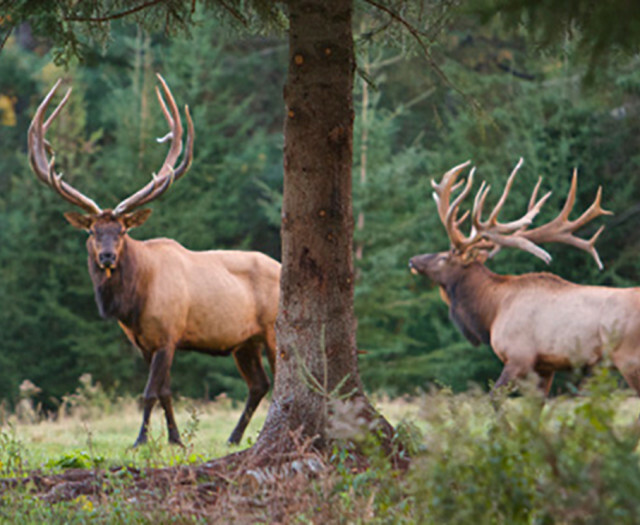 LWE has established an international reputation as home to the best trophy red stag and elk herds in North America. 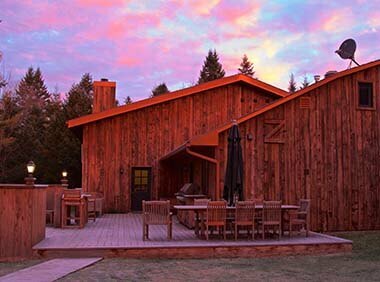 Enjoy our luxury hunting lodge in the Laurentian Mountains, with gourmet meals prepared by the resident chef. 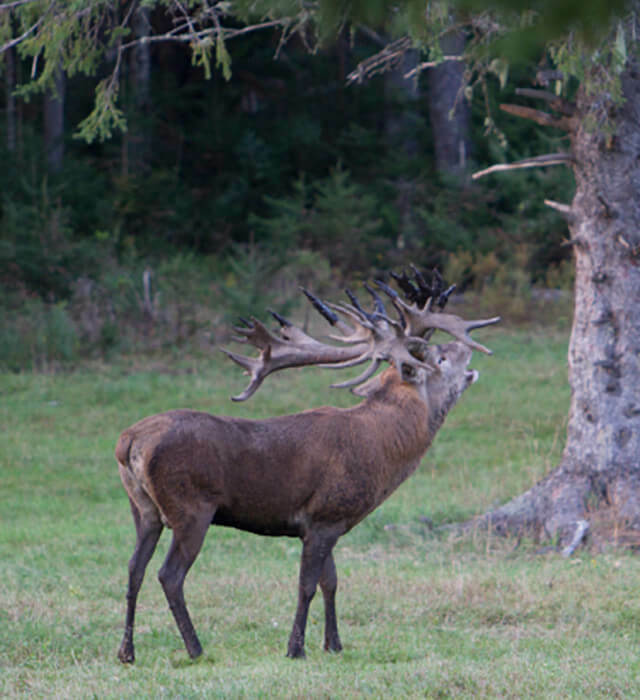 In mid-September I visited LWE with 2 friends to hunt Stags. The fall foliage and alpine landscape was amazing. We saw outstanding animals every day. The Elk were bugling and the Stags were just starting to roar. 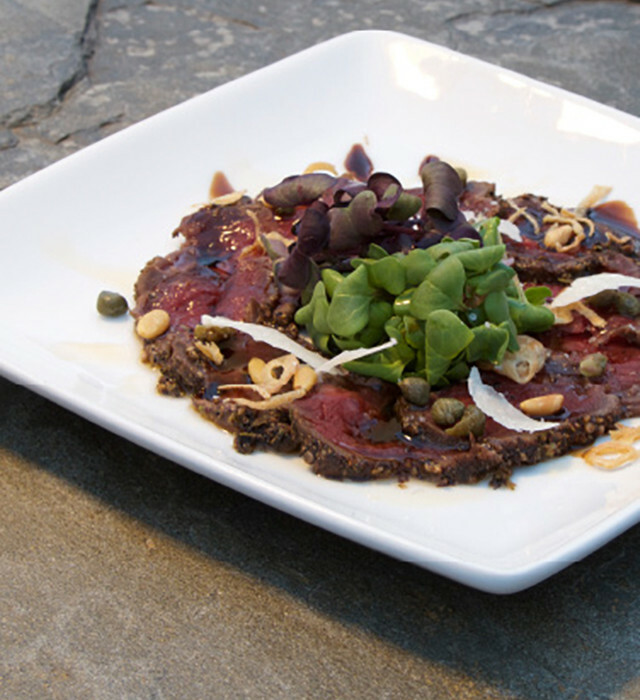 The dining and accommodations were 5 star and your staff were hardworking, knowledgeable and very helpful. Thanks for the great trip, we'll see you next year. 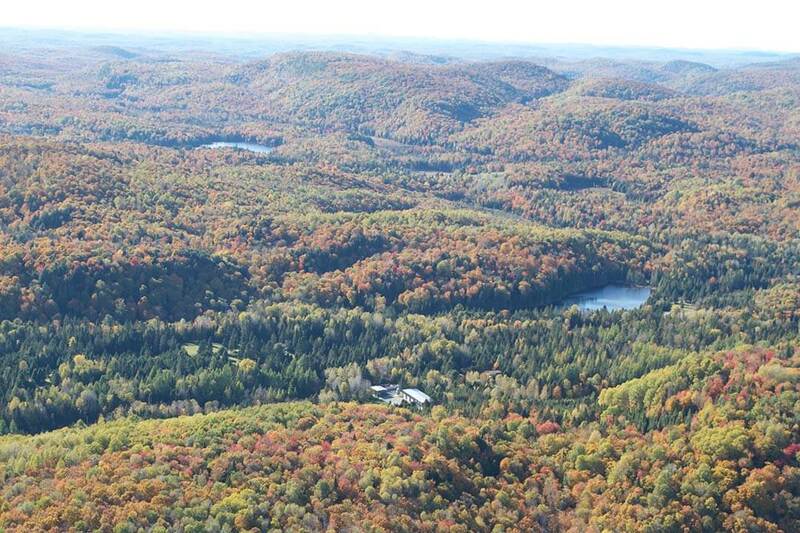 The Laurentian Wildlife Estate is a bow hunters paradise. 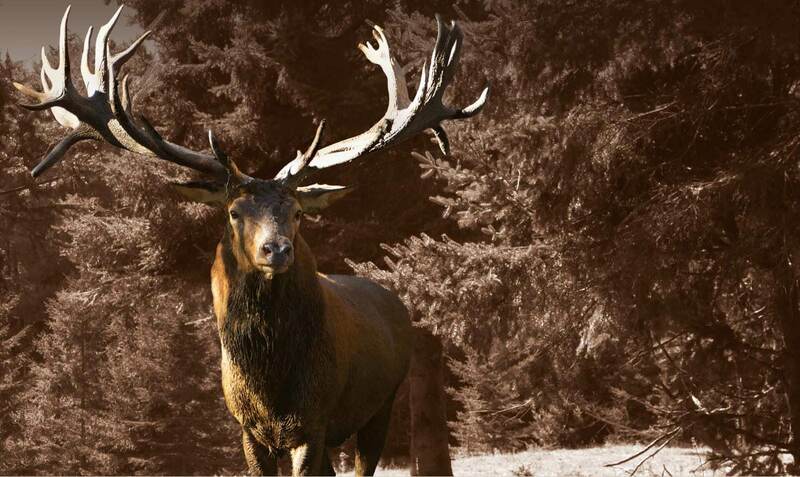 The trophy Elk and Red Stag are plentiful and exceptional. The accommodations, food and staff were excellent. I will be back next year. I would like to thank you for the opportunity to enjoy our 4 day Guided Hunt at LWE. Upon arrival we were greeted by a courteous and professional staff who immediately helped us with any of our needs and questions. 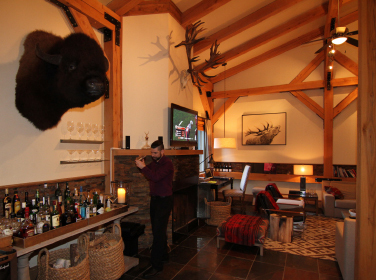 Over the next several days we were treated to gourmet meals, impeccable service, amazing views and fantastic hunting. The hunts were fantastic and provided numerous adrenaline experiences. 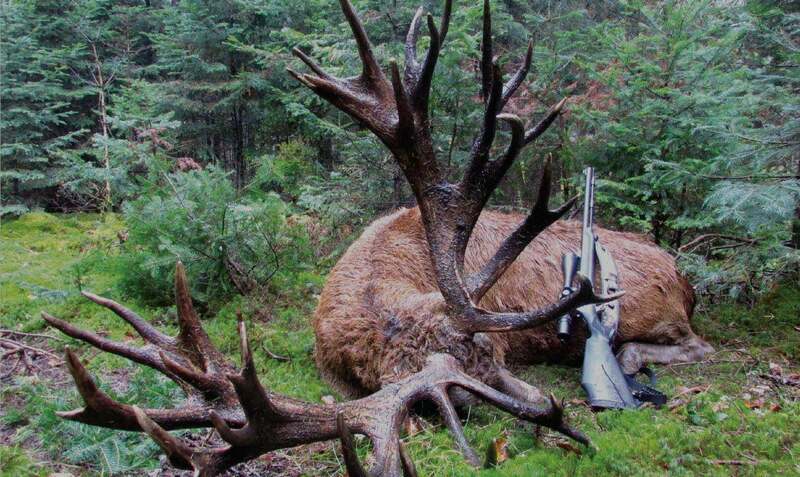 In the end I personally was able to harvest a 365" SCI ELK and a 442" SCI Red Stag, the animals were amazing. The facility, the animals and your fantastic staff made this a trip of a life time. We are already working on scheduling for next year! Just a quick note to thank you on behalf of my friends for this weekend. You guys are brilliant, respectful and devoted. LWE is also great because of you. Please extend this note to all the hunt and lodge staff. Much appreciated. The facility, the animals and your fantastic staff made this the trip of a lifetime! We are already working on scheduling for next year. 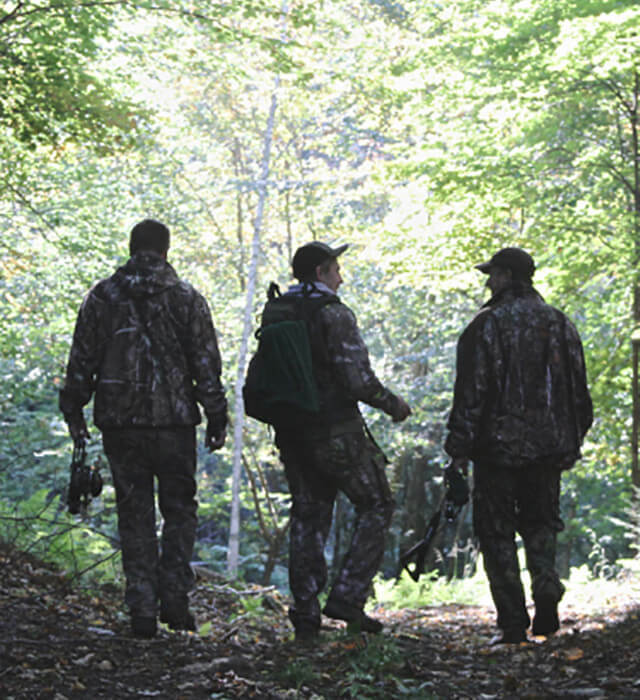 THANK you for the wonderful experience during our hunt October 15 to 18th. We thoroughly enjoyed our stay. The staff were wonderful, accommodating, friendly and helpful. The all round trip was an experience to remember. Hope to return in 2015. 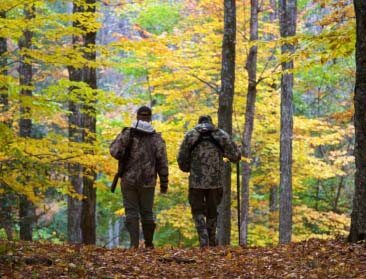 Laurentian Wildlife Estate is a private hunting domain that is home to some of the most thrilling hunting North America has to offer. 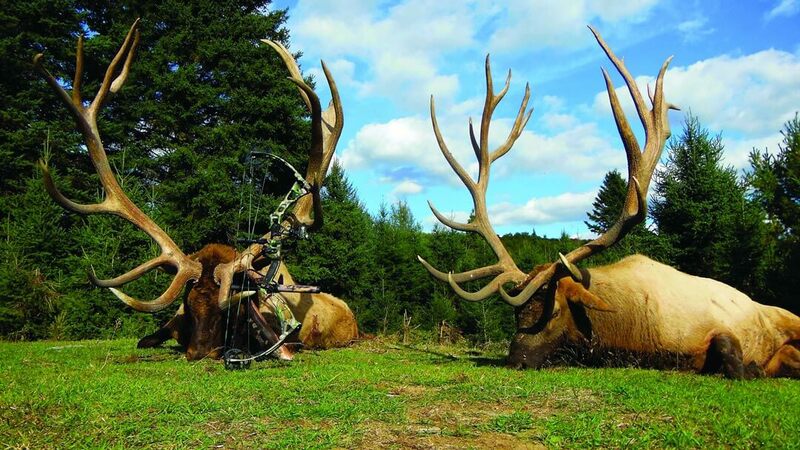 An ultimate destination for hunters wishing to harvest elite class animals, this hunting venue is the only such territory that can boast holding the world record in North America for both Elk and Red Stag at the same time. 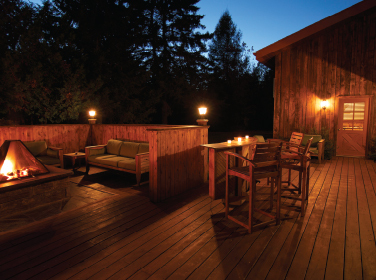 LWE is located less than 2 hours from Montreal International Airport, 45 minutes away from local airport La Macaza/Mont-Tremblant and in close proximity to the world-renowned Mont-Tremblant Resort.